Now until December 15th is the time for open enrollment with Healthcare.gov. 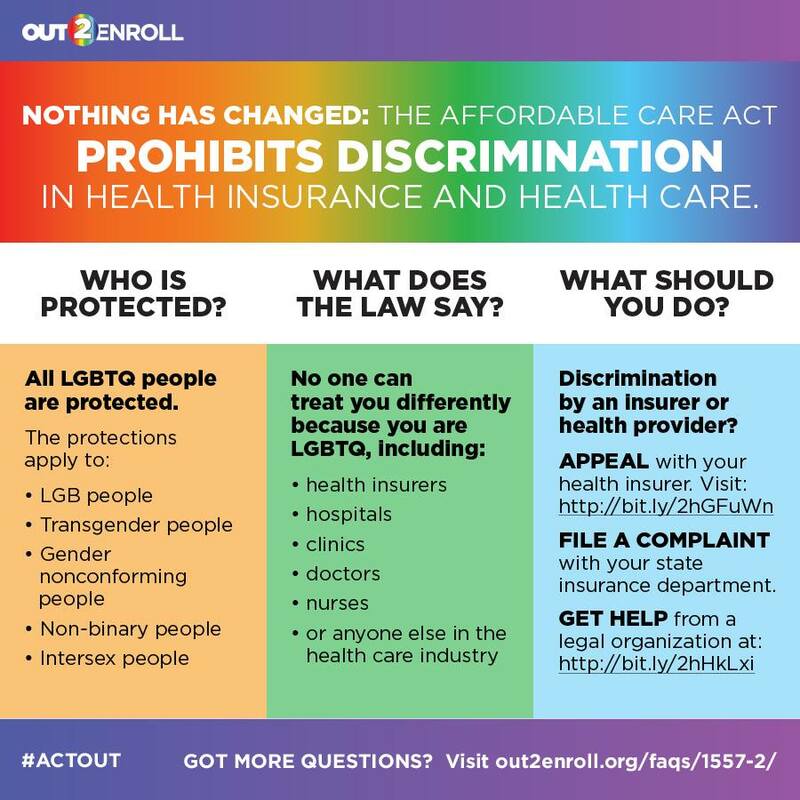 At Family Equality we’re working with Out2Enroll to encourage all LGBTQ people to make sure they are insured and have access to the healthcare they need. 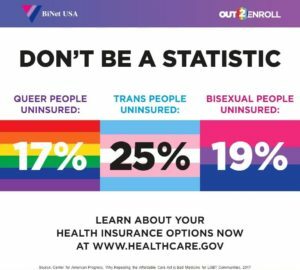 Studies estimate that 25% of trans people, 17% of queer people and 19% of bi people are currently uninsured, compared to just 8.8% of the population as a whole. 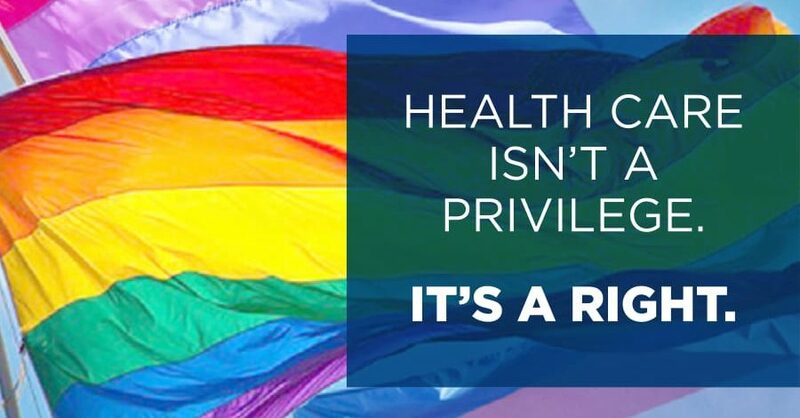 A recent study from the Center For American Progress (CAP) explains that discrimination may be a barrier that prevents LGBTQ people from accessing healthcare. This is a familiar idea for many LGBTQ people across the country, who are subjected to cis- and heteronormative questions the moment they enter a hospital or doctor’s office. Anecdotal stories about discrimination in healthcare abound — from LGBTQ patients being judged or given misinformation, to being denied treatment for themselves and their children. Under the Obama administration, the Affordable Care Act (ACA) attempted to combat this by explicitly prohibiting discriminatory practices in healthcare. The Trump administration’s efforts to dismantle the ACA would weaken these protections, making it easier for providers to discriminate against LGBTQ people and women. Regardless of the Trump Administration’s attempts, discrimination against LGBTQ people is still prohibited by the ACA. Arming yourself with the knowledge of your rights can protect you as you find the healthcare that is right for you. Everyone is deserving of healthcare and taking the best care of yourself is a right, not a privilege.